I think it was two to three years ago a forward thinking, techie friend of mine starting talking up Uber. He parked his expensive Jaguar and started using Uber to take him to work and out and about. At the time I thought he was perfectly nuts to sideline his Jag. Today I get it. For those of you not familiar with Uber, it is a ride sharing app that connects users with individuals willing to give you a ride for a fee; most of the time less expensive than a cab. After about six months of listening to my buddy go on and on about Uber, I decided to skip the expensive parking garages for a Predators game and Uber it there; allowing me to have one too many without fear of a DUI. At first blush, you would think a lower cost alternative to a cab is what launched them, Nope. During peak times their rates can be more expensive. What about the friendly drivers? Maybe. But what caused Uber to disrupt the cab business and turn the industry upside down was their technology. Frankly, being able to summon an Uber or a taxi from my iPhone does not excite me. What excites me is the GPS integration with their app. Before I even request an Uber to pick me up, I can see all of the cars on my cell phone driving around town. They give me an estimate of how long it will take the car I call to get to my front door. I can see the car moving down the road and turning down my block. The exact time it will arrive. Unless catching a cab at the airport or at a hotel cab stand, I NEVER called a taxi. The anxiety of wondering whether they would show was not worth any benefit. Uber addressed what keeps people up at night. So how can you use the Uber Factor to crush your catering competition? “Where is my order? I am checking to make sure it left. When will they be here?” The customer is worried and you get worried. The second issue is…did everything get dropped off? Your catering clients are scared to death that they have hot food for twenty-five but you forgot the serving utensils. Any time you can address a client’s biggest fears you crush the competition. Just look at Uber. They are a billion-dollar company and own zero cars. I have written about our new Delivery Manager and Delivery Driver Smart Phone Interface before. We debuted it at Caterpalooza and the response has been overwhelming. Though we are still working on the full blown app that works like Uber, showing you and your catering client where their delivery driver is at all times, it currently allows the driver to notify the client via email and text that they are on their way and when they have arrived. The built in checklists add a double check to make sure everything has been loaded and delivered. It is one thing to talk a good game, but showing catering clients and prospective catering clients that you use a system like ours allows you to disrupt the market. This is an advantage you want to jump on. 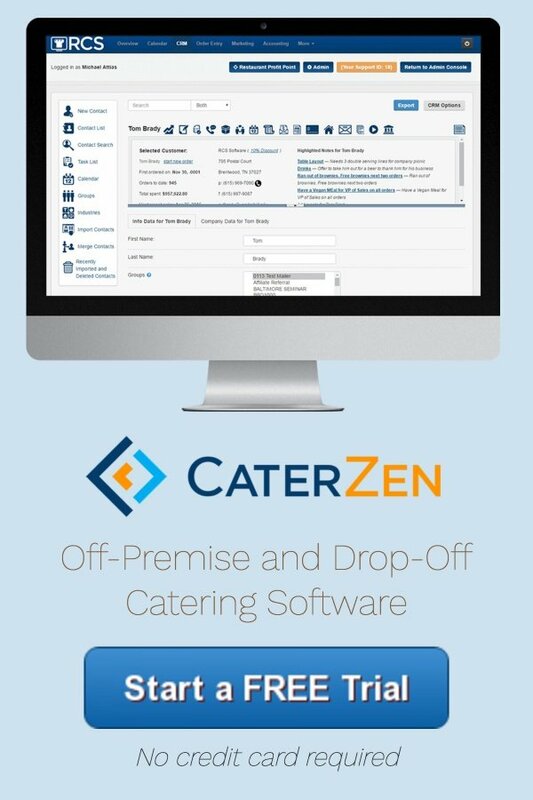 Technology like this will help you win over new clients unhappy with their current caterer. 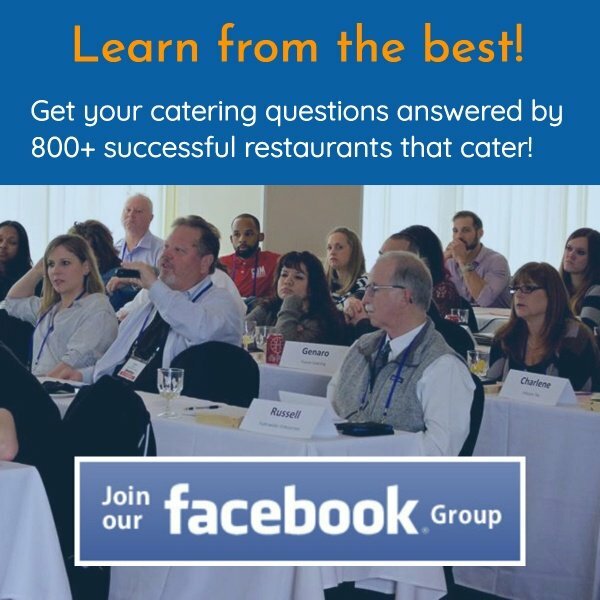 You will turn your current catering clients into raving fans. The catering game is about strong, long-term relationships.